The 2018 NHL Trade Deadline has come and gone and with it a number of players, prospects, and draft picks — all of which now en route to new homes and new beginnings. As per usual, the moments leading up to the trade deadline were hectic and unpredictable, as a number of players of immense value found themselves on the move in exchange for substantial returns. However, such was not always the case, as a handful of deals involving players of incredible worth — particularly UFAs — were executed which clearly favoured one party rather than benefited both. So, now that the dust has had time to settle, it’s time to determine the clear winners and losers of this season’s trade deadline, although it will be far too early to accurately determine the outcome of every trade given the wealth of prospects and draft picks involved. The New York Rangers made it abundantly clear that they were ready to kick-start a comprehensive rebuild. And, come the trade deadline on Feb. 26, the organization emphatically emphasized their chosen direction by landing a bounty of quality young prospects, players, and draft picks. For the Rangers, their fire-sale began with the departure of defenceman Nick Holden. From this point onwards, New York traded all of Michael Grabner, Rick Nash, J.T. Miller, and Ryan McDonagh in relatively quick succession — four players who had once comprised the core of the Rangers’ roster. Fortunately for New York, the assorted returns which the franchise garnered in each individual trade will prove to be of immense importance and value to the team’s rebuild and future success. In fact, in addition to the acquisitions of Vladislav Namestnikov, Ryan Spooner, and Matt Beleskey, the Rangers nabbed a whopping four prospects and six draft picks in exchange for the players they chose to part with. Of those draft picks, two will fall in the first-round of the 2018 NHL Draft for New York while another boasts the ability to transform into a first-round choice if the Tampa Bay Lightning capture the Stanley Cup in this season or the next. Further, of the prospects which they Rangers landed — Brett Howden, Libor Hajek, Yegor Rykov, and Ryan Lindgren — all of which own the potential to become impact players at the NHL-level in the immediate future. Libor Hajek is a solid all-around D-man who played very well for the Czechs at the world juniors. Skates well, munches minutes. Brett Howden is a 200-foot center with skill who won gold with Canada at the same tournament. Ultimately, New York was wildly successful in the days, hours, and minutes leading up to the trade deadline. With a clear direction in mind, the Rangers targeted and acquired a wealth of quality assets which will have an immense influence on the outcome of the organization’s on-coming rebuild. A winner in each deal they made and overwhelmed with assets as a result, New York will now head to the NHL Entry Draft dead-set on landing an even greater quantity of capable young talent. Although the San Jose Sharks made a mere three trades leading up to the trade deadline, the deals which the organization executed were both clever and calculated. As a legitimate contender in the Western Conference, the Sharks set out to address particular aspects of their lineup and were undoubtedly successful in doing so. For San Jose, their first trade occurred on Feb. 20, when the team landed Eric Fehr from the Toronto Maple Leafs in exchange for a seventh-round choice in the 2020 NHL Draft. 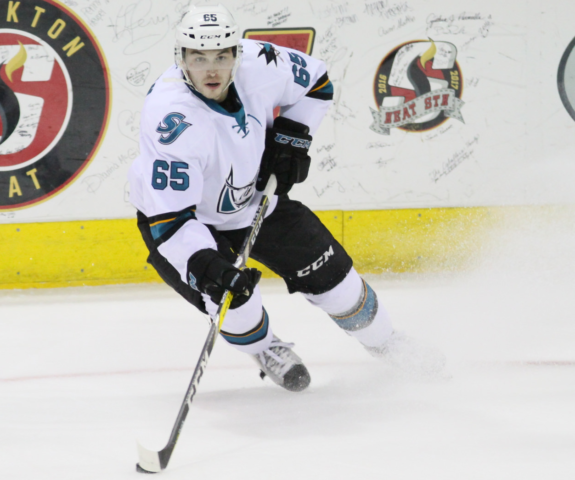 Quietly dominating the American Hockey League having scored 28 points in 34 games, Fehr’s vast NHL experience and value as a centre allowed the Sharks to instantly improve their depth down the middle of the ice at a slim cost. Following a minor deal which secured a draft choice from the Nashville Predators, San Jose then landed a big fish moments prior to the trade deadline. 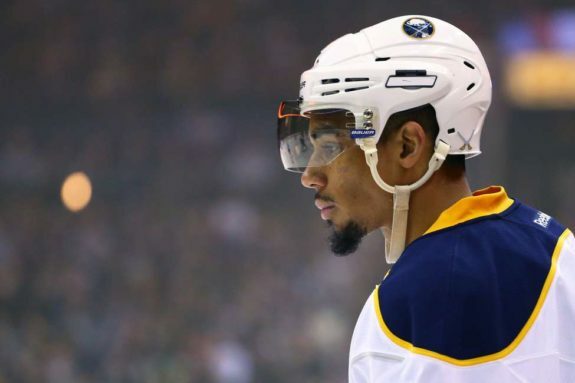 As a dynamic offensive player and consistent scoring winger, the Sharks’ acquisition of Evander Kane not only turned heads but immediately altered perceptions of the team’s roster. Now deeper and more potent than ever before this season, Kane’s arrival at the cost of conditional first and fourth-round picks alongside Daniel O’Regan stood as a minute price to pay for such an accomplished and proven goal-scorer. Clear winners ahead of the 2018 NHL Trade Deadline, San Jose can be viewed as incredibly successful due to their ability to dramatically improve their roster at the meagre cost of three draft picks and one prospect. Sure, the Sharks don’t boast a wealth of draft picks, however, the price which the organization paid for the assets which it acquired was the definition of a steal. As a legitimate Stanley Cup contender ahead of the trade deadline, the Lightning identified areas of need within their roster and targeted desirable players before executing one major, earth-shattering deal. What’s more is that despite this trade, Tampa Bay was able to withhold arguably their greatest young assets — all of which are contributors of growing value. Through this one single deal, the Lightning upgraded their blue line while also adding strength to their roster. 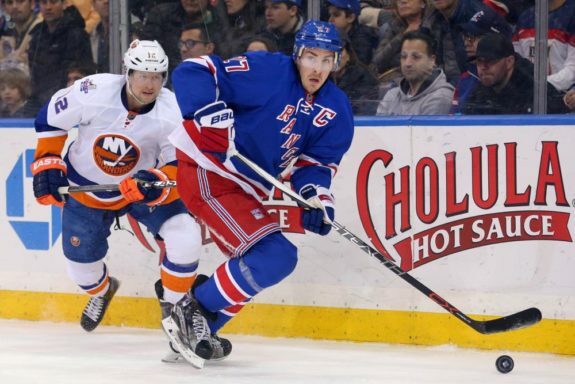 Having identified defence as an area of need, General Manager Steve Yzerman landed Ryan McDonagh from the Rangers. As a versatile defender of considerable experience and playoff success, adding McDonagh instantly bolstered an already impressive Tampa Bay blue line. 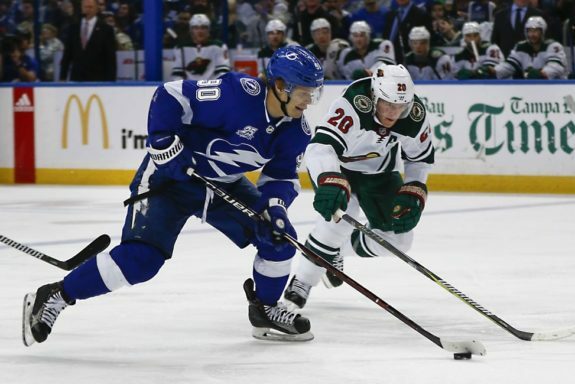 Further, Yzerman landed Miller, a player who will effectively replace Namestnikov within the team’s roster and is in the midst of an excellent individual campaign. Yes, the Lightning may have surrendered a considerable amount of assets, however, at the end of the day, Tampa Bay finds itself one step closer to again securing the Stanley Cup. And, while the likes of Howden and Hajek could very well become excellent NHL players, achieving a championship in Tampa Bay would erase any and all unrest surrounding this trade, which will quite clearly come to benefit each of the two organizations in the immediate future. The Buffalo Sabres made one single trade ahead of the trade deadline, packaging Kane to the Sharks in return for a pair of draft picks and O’Regan. Unfortunately for the Sabres, their return was immediately deemed to be inadequate by many, as a player of Kane’s prominence was expected to garner a far more substantial haul through trade. Perhaps the most accurate comparison to Buffalo’s trade of Kane is the Jets’ acquisition of Paul Stastny. As a pending UFA, like Kane, the Jets surrendered conditional first and fourth-round picks in addition to prospect Erik Foley in order to nab Stastny from the St. Louis Blues. 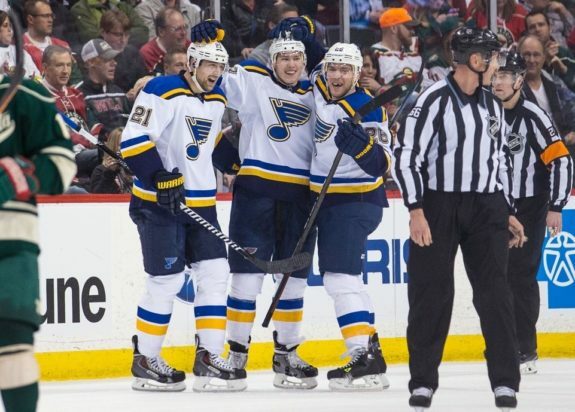 Further, the Blues retained 50% of Stastny’s $3.5 million salary. On the other hand and in return for a superior player, the Sabres received conditional first and fourth-round picks as well as O’Regan. Now, although O’Regan is a notable prospect in his own right, Buffalo’s conditional first-round choice could fall to the second-round if Kane does not re-sign in San Jose — a steep slope given Kane’s track-record of production in the NHL. Although it will take time to determine the definitive victor of this trade, it appears as though the Sabres may have accepted a return unreflective of Kane’s on-ice abilities and experience. In a city desperate for success, General Manager Jason Botterill’s first trade deadline could prove to be one to forget. The Chicago Blackhawks find themselves in unfamiliar territory. Well, sort of. As a perennial powerhouse in the NHL over the past decade, Chicago has come to be known as a legitimate Stanley Cup contender with every passing season. However, the 2017-18 campaign has been extremely challenging for the Blackhawks, who have fallen to dead-last within the insanely competitive Central Division. Facing a certain re-tool, it has come time for Chicago to target and land capable young players who will supplement the team’s existing core and, in doing so, return the organization to its former glory. 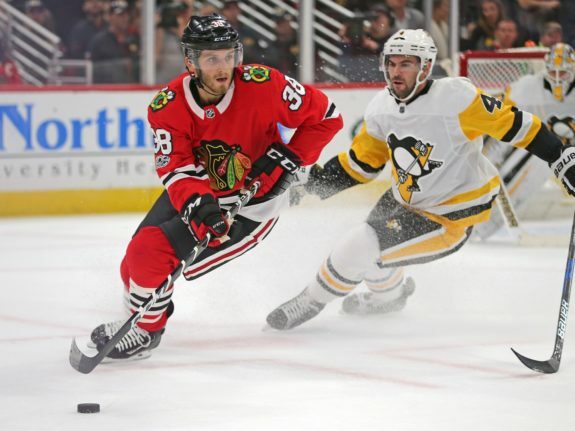 Unfortunately, the Blackhawks seemingly took a step backward on Feb. 26, trading one of their more promising talents in Ryan Hartman — and to a divisional rival in the Predators, no less. Although Chicago finds itself in somewhat of a financial bind, trading Hartman was inexplicable given his contractual status as pending RFA. Set to earn a multi-year contract extension, Hartman’s new salary would not have further complicated the Blackhawks’ cap problems, while his presence within the roster would have provided nothing other than energy and a sprinkling of skill. Yes, Chicago landed a first-round pick from Nashville in the trade, however, it will likely fall in the 25-31 range in the coming NHL Draft — a reality which strips a great deal of value from the selection. Further, Victor Ejdsell, the prospect which the Blackhawks secured in the deal, has yet to play a game in North America and remains under contract for just one additional season. Hartman trade is interesting from the Blackhawks' perspective. They get a first, 4th and a prospect but Hartman is 23 and isn't expensive. Quenneville used him low in lineup and benched him Saturday. Now he's traded. Suggests to me Quenneville had a say in this. In short, the departure of Hartman seems to have stripped Chicago of what they desire in return for assets which could produce a valuable talent down the road. In Hartman, the Blackhawks knew exactly what they owned. Now, the organization stands poised to take its chances with late draft picks and an unproven prospect. No one was expecting the Blues to execute a major trade prior to the deadline, and especially so with the team knocking on the door of the Western Conference’s final playoff spot. However, General Manager Doug Armstrong had others ideas, trading a seasoned veteran in Stastny to Winnipeg in exchange for a slew of draft picks and a prospect. As a team on the cusp of legitimately competing for the Stanley Cup, Armstrong’s deal made very little sense, as it stripped the organization of valuable depth as well as a proven and versatile contributor. Further, the Blues’ return was not overly significant. Outside of securing the Jets’ first-round pick, which will likely fall in the 25-31 range, St. Louis added an inconsequential fourth-round choice and prospect Erik Foley — a youngster who could, in time, prove to be the focal point of this trade given his remarkable production for Providence College in the NCAA. Ultimately, the Blues’ direction as a franchise was made overwhelmingly unclear through the completion of this deal. Battling for a playoff spot and in possession of a roster capable of postseason success, St. Louis’ General Manager appears to have suddenly lost faith and confidence in his players. Perhaps this was simply Armstrong’s way of igniting his team in the midst of their playoff race.